VS/VSB Burners is versatile and handy unit for all type of industries including foundry, who requires occasional heating at site either for repair or production purpose. • Suitable for LDO, HSD or Kerosene. • Oil tank capacity 4.5 liter / 16.5 liter. • Maximum Flame length 40 – 60 inches. We are a top-notch organization, engaged in providing Steel Air Tank. Our company manufactures and supplies Air Receiver Tanks (Pressure Tanks) which are used in various industries for specified applications. 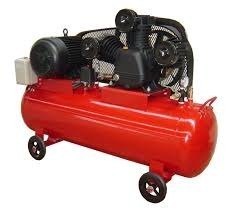 These are used to store compressed air and regulate the flow of air where it is required. We put forth perfectly designed Air Receiver for our esteemed clients. Developed to excellence, these offered receivers are used for storing compressed air and delivers, when compressor is switched off. Furthermore, these offered products are manufactured using optimum-grade basic material, in complete adherence with the industry laid parameters, to meet expectations of the clients.